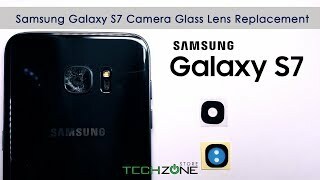 How to replace Galaxy A9(2016) cracked camera glass lens in two ways? It's one of the worst feelings ever: one moment your phone is safely in your hands, the next it's lying face down on a concrete floor. You pick it up, hoping nothing has happened to it and then you see it: the crack. Before you start freaking out, have a read through this article. We've collected some simple phone repairs that may just save your phone. Follow us on: Youtube - https://goo.gl/wK6f2Z Facebook - https://goo.gl/Ozxtf0 Google+ - https://goo.gl/LxPTU3 Instagram - https://goo.gl/2mffWD Twitter - https://goo.gl/Acks2J See more video on our channal; https://goo.gl/8f97ma 1. Toothpaste for your cracked screen If you have an annoying little crack in your screen that's bothering you, you can fill the crack with toothpaste to make it disappear. Make sure you use the white paste variety, rather than the gel. Seal the ports and buttons of your smartphone with tape to make sure no liquid gets in, then rub your chosen toothpaste into the scratched area using a soft cloth. Clean away the excess toothpaste with a slightly damp cloth. 2. Baking soda for scratches No, this isn’t the Great British Bake Off for your phone - but making a thick paste out of baking soda and water may just help to remove scratches. Use two parts baking soda to one part water. Mix it well until you have a thick paste. Put a small amount of the paste onto a microfiber cloth and gently rub in a circular motion on the scratched part of your screen. 3. Sandpaper for scratches A more drastic solution is to grind any scratches out of your screen, by using fine sandpaper. Work cautiously, use the least abrasive sandpaper, press gently and check the results regularly, in case you're creating an uneven surface or worsening the situation. 4. Replace the screen yourself Some smartphone screens are so cracked there's no way you'll be able to buff out those scratches. Manufacturers will offer you hugely expensive repairs, but to save yourself some money you can buy kits and new screens online to replace it yourself. Get your kit from a website like Mission Repair or iFixit (roughly around £61). They often come with all the tools you need for specific phones. Keep in mind that iPhones can be particularly troublesome because Apple make it almost impossible to take your phone apart. 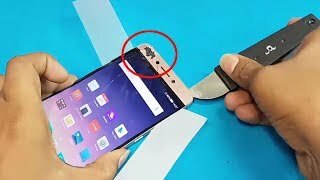 This is why it's imperative to watch a tutorial like the one below before attempting DIY screen replacements. 5. A bowl of rice for water damage Did your cell phone recently get wet? Is it no longer working? Don't worry, try putting it in some rice. It sounds crazy but it may just do the trick. We advise to turn off the device as soon as possible first, and to leave it off for 7 days in rice. Meine Tochter hat es geschafft das Glas von der rückwärtigen Kamera zu zerstören. In dem Video zeige ich euch wie ihr dies erneuert und worauf ihr achten müsst. Galaxy A9 has scratched camera glass lens, chipped paint, or Galaxy A9 camera lens cracked/shattered/peel off? 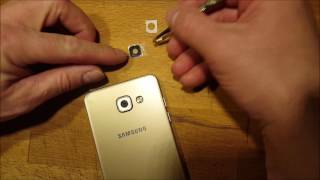 This video shows you how to repair Samsung Galaxy A9 cracked or scratched camera glass lens in two ways. Why don’t you replace it by yourself according to this replacement tutorial? 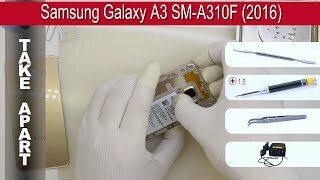 Get full and original Samsung Galaxy A9 replacements athttp://www.witrigs.com/replacement-parts-for-samsung-galaxy-a9-2016 . 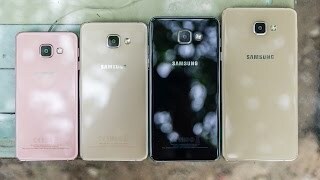 Get original Camera Lens replacements for Samsung Galaxy A9 athttp://www.witrigs.com/oem-camera-lens-for-samsung-galaxy-a9-2016-gold-platinum . 7.Install back glass - http://bit.ly/1RpDho1. Any questions asked in the comment section below. Hope this video helped you out.